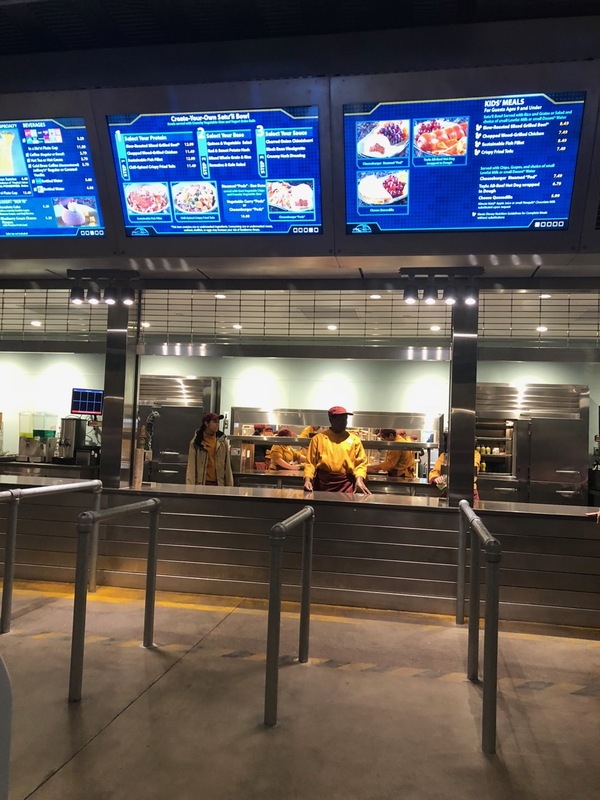 Considering how long the lines were for the attractions in Pandora, we were surprised to find absolutely no line inside Satu'li Canteen when we went for an early dinner. We also went for lunch another day and it was probably the least crowded counter service we've ever experienced at peak hours. Plus, we really enjoyed everything we tried there. 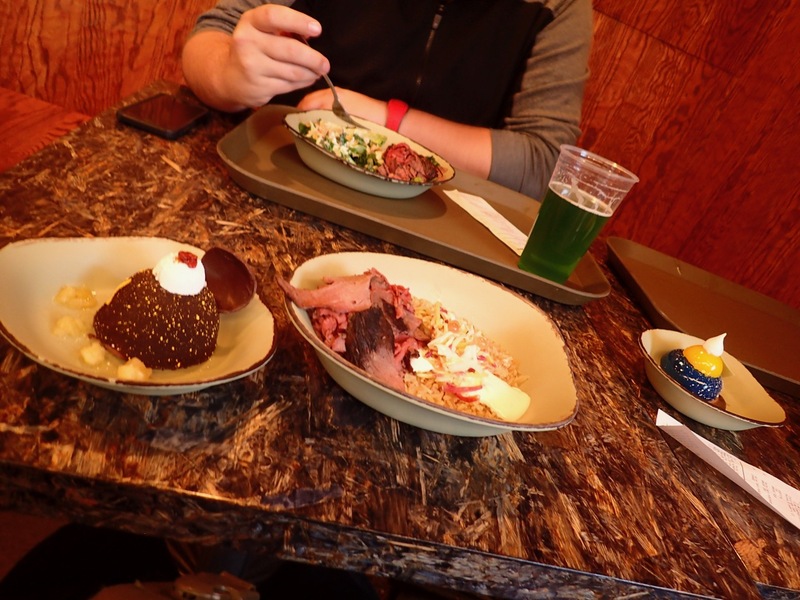 Mik enjoyed the grilled beef bowl and the chocolate cake. 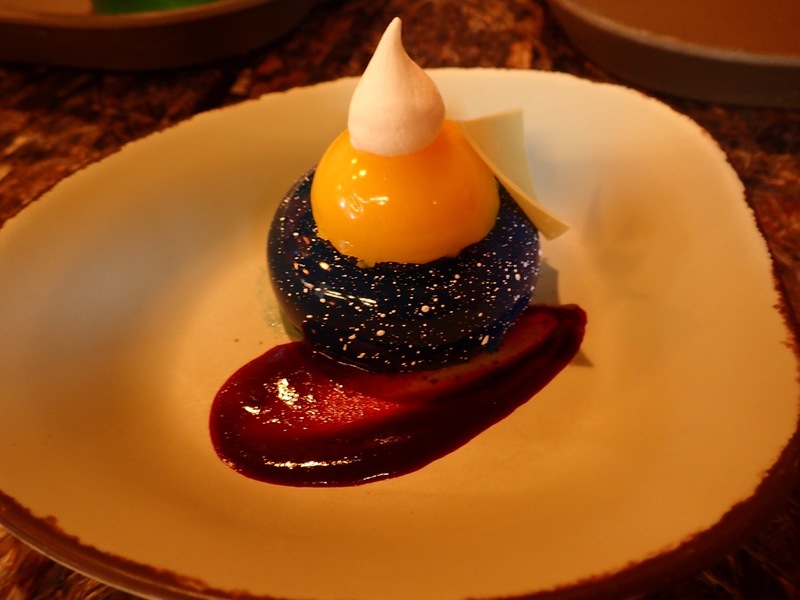 We also enjoyed the blueberry cream cheese mousse, although we did prefer the chocolate cake.